Villa Corsini in Mezzomonte claims a unique history, by existing since the Middle Age. It is one of the last Medici residences, which is still private. 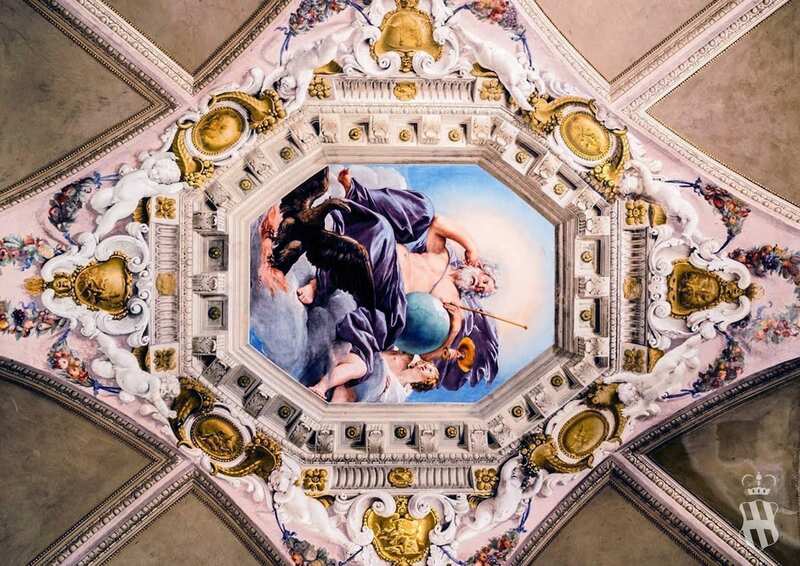 The villa is decorated and frescoed between 1630 and 1634 by following the requests of the owner, Prince Giovan Carlo de ‘Medici, one of the most renowned member of the historic Florentine family. Villa Corsini in Mezzomonte was bought in the beginning by Lorenzo the Magnificent in 1480. 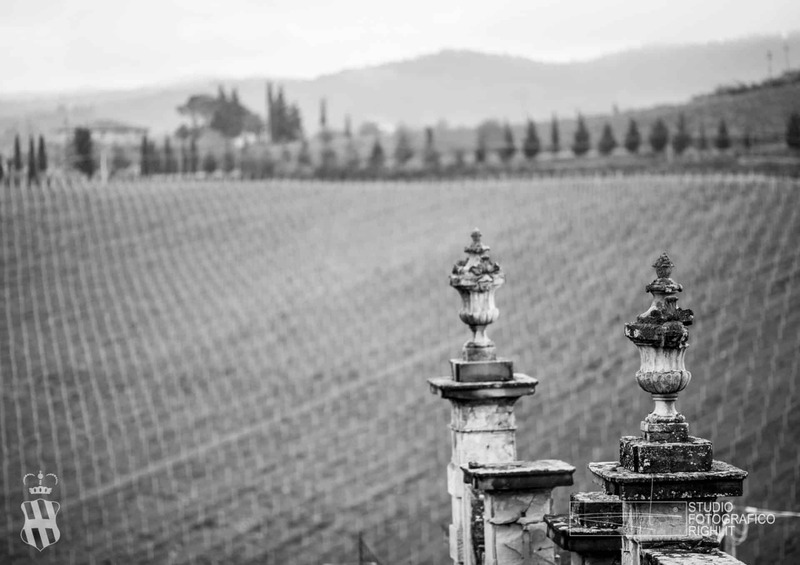 Immersed in the center of its farms maintained in vineyards and olive groves in the enchanting landscape of the Florentine hills, Villa Corsini became property of the Corsini family from 1644. 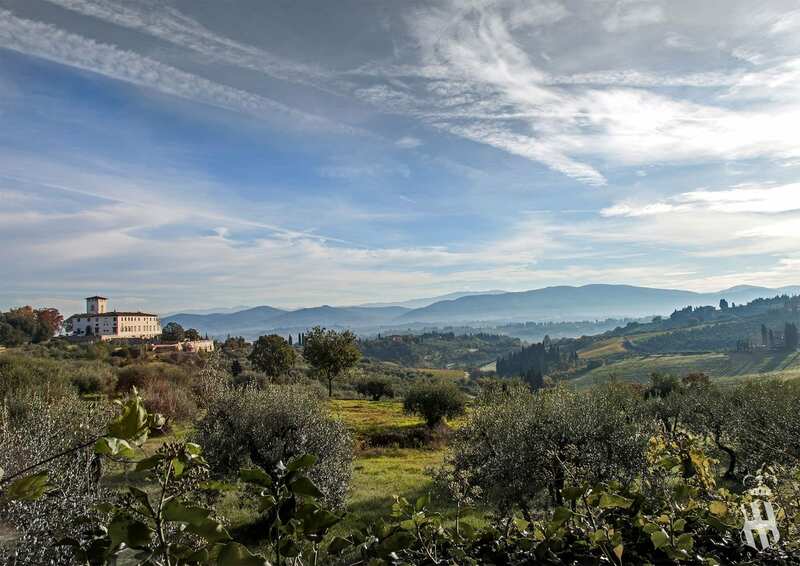 Just 7 km away from the city center of Florence, in the municipality of Impruneta, Villa Corsini a Mezzomonte offers to its guests a unique view of the Chianti hills. In addition to the beauty of internal halls, whose frescoes praise the rural deities and the heroism of the female figure. 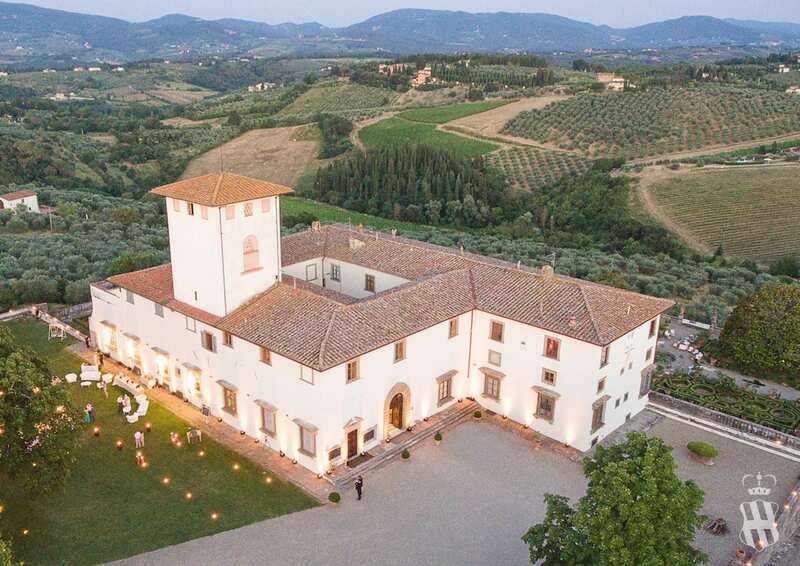 Full of history and beauty, Villa Corsini in Mezzomonte is the best choice to seduce guests with a location in the Chianti countryside. An amazing example of 16th century architecture, the Villa is the result of 5 centuries of renovations and modifications. Founded around the eleventh century, it was the Panciatichi family who gave the present structure. Then it was the Prince Giovan Carlo de 'Medici between 1630 and 1644 to consecrate it as a residence where to organize events and where to receive friends. Villa Corsini in Mezzomonte started being called "Palazzo di Campagna" starting from 1630 for the banquets and celebrations of Prince Giovan Carlo de 'Medici. The purchase of the Villa by the Corsini Family took place in 1644. From that moment new works began by culminating in 1714 with the creation of a large monumental hanging garden. The construction of the lemon houses followed and in 1861 there was the creation of a new avenue at the entrance as well as the English garden. A Villa for events where you can breathe art and history. Villa Corsini is this and so much more. 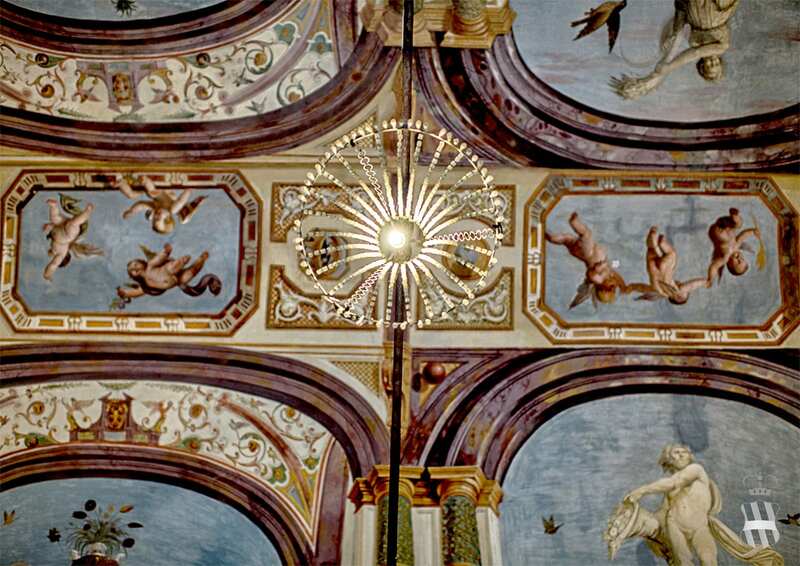 With the return of the Villa among the properties of the Medici Family, the young prince called the most important frescoes painters of the time such as Bacio Del Bianco, Angelo Michele Colonna, Pandolfo Sacchi, Domenico Crespi called Passignano Giovanni da San Giovanni and last but not least Francesco Albani. Just these two last artist, disputed in Villa Corsini a Mezzomonte a competition: to choose who among the two would have had the chance to fresco the Hall of Apollo located at Palazzo Pitti. 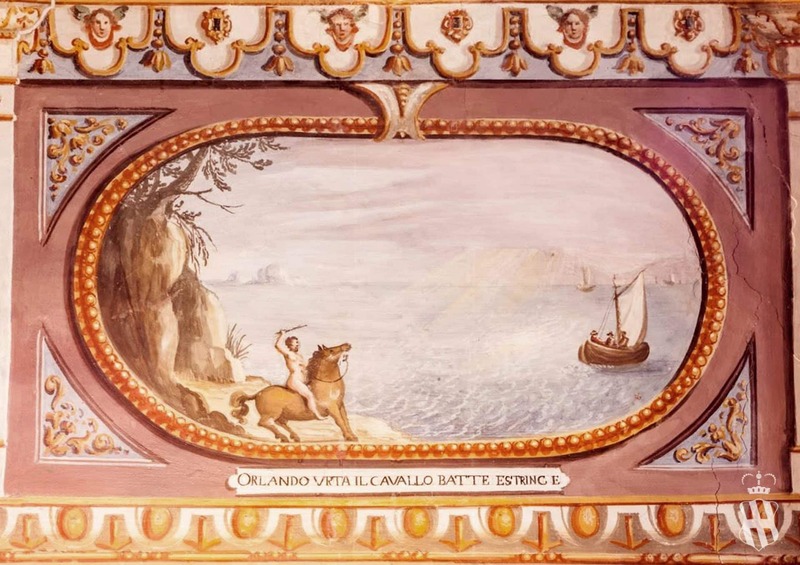 The guests of Villa Corsini find such halls of unquestionable charm, surrounded by wonderful pictorial decorations such as: the depictions of the famous stories of Apuleius, Torquato Tasso, Ludovico Ariosto and playful images. 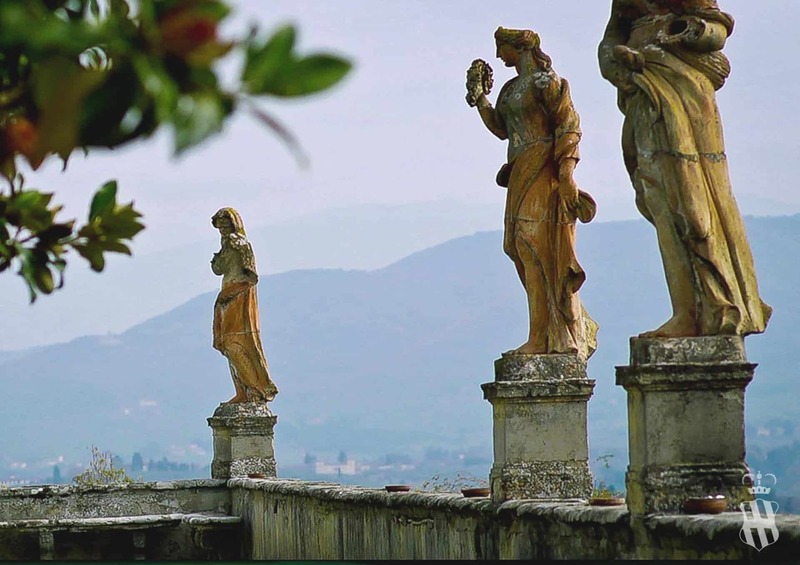 Villa Corsini, in the Municipality of Impruneta, is the place where history, art and nature meet together. 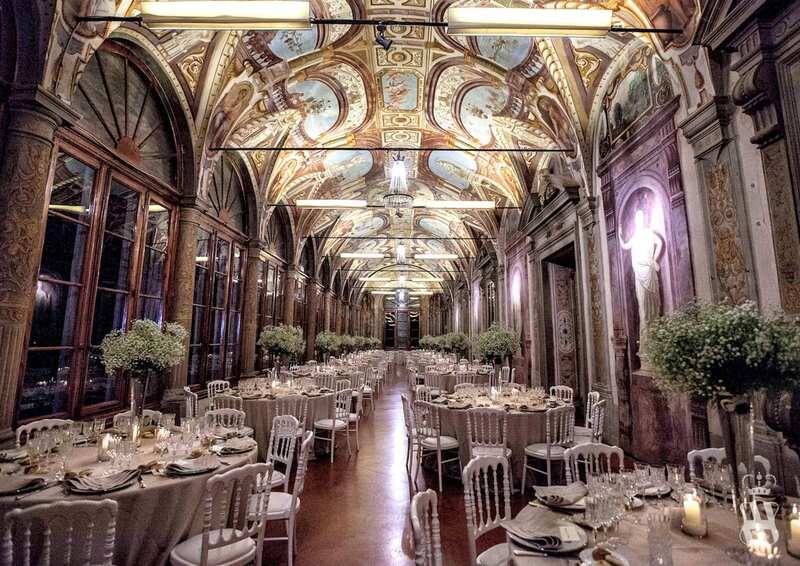 It offers the ideal space for events marked by the Made in Italy touch. The proximity to Florence allows you to take advantage of all the services of the city, while the location in the countryside allows the life and rhythms that distinguish those of a "locus amenus". The Villa is located on the only hill that enjoys an exciting view. In fact, the view goes from Mugello to Chianti, passing through the Val d'Arno countryside. By mentioning the famous Italian literary critic, novelist, and semiotician Umberto Eco: "It is beautiful that, if it were ours, it would rejoice, but that remains so even if it belongs to someone else".